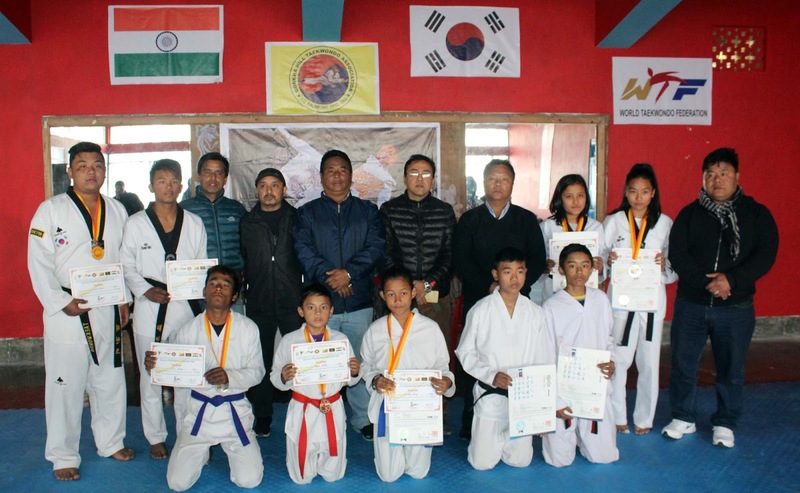 Participant of Gorkha Hills Taekwondo association have won 1 gold, 4 silver and 3 bronze in the International Club Taekwondo Championship held at Bhutan which was organized by Phuentsholing Taekwondo club last week. Anet Rai in junior girls 40 kg weight category has won Gold medal while Dipshika Tamang, Riya Tamang , Zigden Bhutia and Nima Tamang won silver in their respective weight category . Prayas Chhetri, Jenny Lepcha and Niraj Pradhan won bronze in the tournament where teams from Bhutan, Nepal, India and Bangladesh participated. The team from Kalimpong was led by team coach Tashi Dorjee Sherpa. 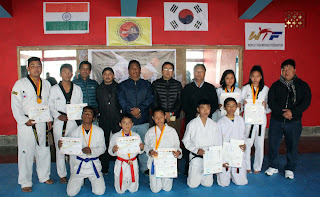 0 Respones to "GHTA bags 8 medal in Int club taekwondo championship held at Bhutan"